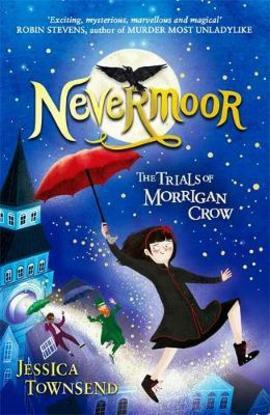 Morrigan Crow believes she's cursed and is destined to die on her 11th birthday. However, when the clock strikes midnight she's whisked away by Jupiter North and taken to a secret city called Nevermoor. Once there she's invited to join the Wundrous Society - an organisation steeped in mystery and magic. She's promised protection for life - if she can pass four seemingly impossible trials... The only problem is she needs a special talent to complete them - and she doesn't think she has it.